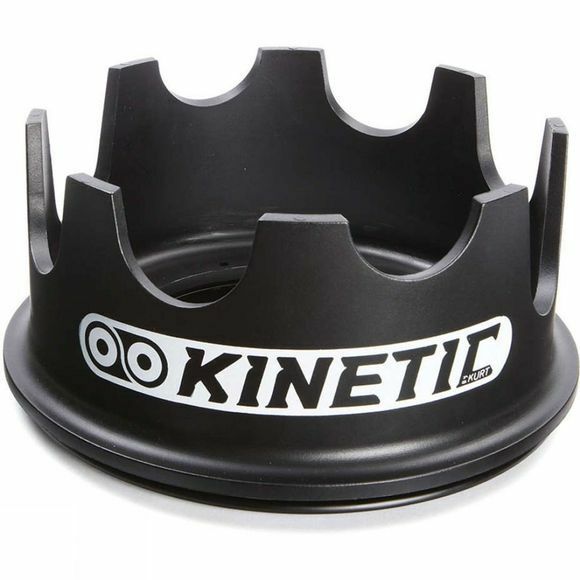 The Kinetic Turntable Riser Ring is an absolute necessity for anyone riding a Rock and Roll Trainer. Features a swiveling base that allows the front wheel to move freely and helps a rider perfect their technique. The riser ring is designed to meet the needs of riders who want a level bike when they train or riders who want to simulate riding uphill on their trainer. Fits tyres up to 2.25"